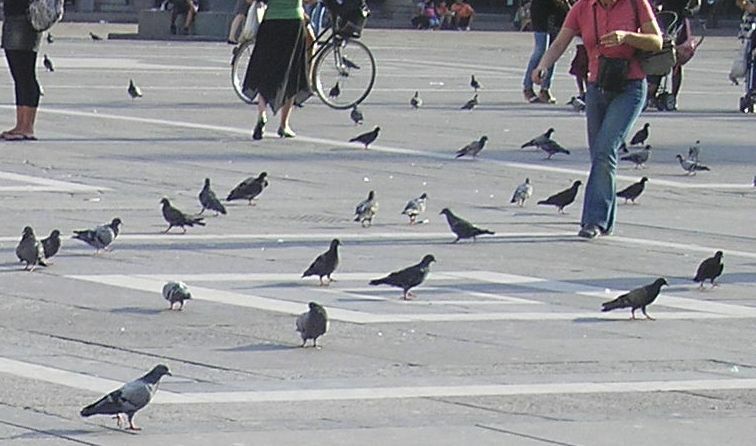 Research shows that pigeons have learned to discriminate against unkind people | UNBELIEVABLE! If you are an urban pigeon, the idea of hovering near a person for food is a bit of a gamble. For every person sitting on a park bench who will happily flick the crumbs of their lunch towards you, there will always be others who will angrily stamp their feet and scare you away. Well, latest research suggests that it is not a gamble at all. According to researchers in France, pigeons have the ability to tell the difference between generous humans and unkind ones. “The pigeons avoided the hostile feeder even when the two feeders exchanged their coats, suggesting that [the birds] used stable individual characteristics to differentiate between the experimenter feeders. Thus, pigeons are able to learn quickly from their interactions from human feeders and use knowledge to maximise the profitability of the urban environment,” they said. Conclusion: Be nice to pigeons. They will remember who you are and forever hold a grudge against you otherwise. Posted on June 24, 2011, in Psychology and tagged Animal behaviour, Generosity, Human discrimination, Nature, Pigeons. Bookmark the permalink. Leave a comment.